Chip giant Intel Corp on Tuesday launched its most advanced desktop processor 'Intel Core i7' in India. The Core i7 processor is the first member of a new family of Nehalem processor designs and is the most sophisticated ever built, with new technologies that boost performance on demand and maximise data throughput. The processor speeds video editing, immersive games and other popular internet and computer activities by up to 40 per cent without increasing power consumption. Broadly heralded by the computing industry as a technical marvel, the Intel Core i7 processor holds a new world record of 117 for the SPECint_base_rate2006* benchmark test that measures the performance of a processor. This is the first time ever for any single processor to exceed a score of 100 points. "Intel has delivered the fastest desktop processor on earth to the most demanding users on earth, the ones who are using their PCs for video, gaming and music," Intel's South Asia marketing director Prakash Bagri said. "When you couple what is Intel's biggest leap in chip design with other incredible innovations like Intel's solid state drives, the Core i7 processor has redefined the computer of tomorrow," he said. Intel's unique Turbo Boost Technology accelerates performance to match a computer user's needs and workloads. 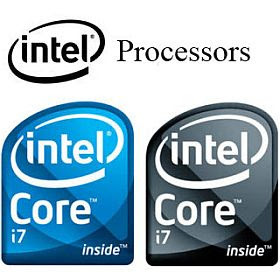 The Core i7 also has the latest Intel power-saving technologies, allowing desktops to go into "sleep-states" formerly reserved for Intel-based notebooks. Designed with Intel's Hyper-Threading Technology, the processor allows multiple computing threads to run simultaneously, effectively enabling it to do two things at once. As a result, the Core i7 quad-core processor delivers 8-threaded performance. The Intel Core i7 processor offers unrivaled performance for immersive 3-D games over 40 per cent faster than previous Intel high performance processors. The Extreme Edition uses 8 threads to run games with advanced artificial intelligence and physics to make games act and feel real. As Orkut saying in Orkut Help Centre you can use the 'Find friends' feature to import your email contact list from Gmail and other email services (Hotmail, AOL, rediff.com, and mail.ru), to see who's already on orkut. You can also invite any of your email contacts to join orkut if they haven't yet. 1. Go to the 'my friends' section on the right-side of your orkut profile or homepage. 3. Click the find more friends >> link at the top-right of the page. 4. To find your Gmail contacts, simply click the find friends button. If you want to import contacts from another email account, enter your email address and password for that account, and then click find friends. You'll then see your email contacts who are already on orkut, but aren't in your friends list. 5. Select the people you'd like to add as friends on orkut, and click add selected friends to send them friend requests. 1. Select the contacts you'd like to invite. 2. Scroll down to the bottom of the page, write a personal message in your invites, if you wish to, and enter a word verification in the text box. 3. Click invite selected contacts. Hope This Will Help you in Finding yours Orkut Friends. No doubt many of you have frittered away several hours through the sheer exploration possibilities offered by the Google Earth program. Perhaps some of you may even have wished you could have this little application everywhere you go. If so, then you're in luck: in a posting on Google's LatLong blog, Product Manager Peter Birch announced that the Google Earth application is making its debut in the iTunes App Store today (available here). According to Mr. Birch, the iPhone's touch interface provides a very natural way for to interact with the interface. Swiping your fingers will move the map around, while pinching in and out controls the zoom. Using the iPhone's GPS, users can instantly go to their current location in the application. In addition, Panoramio integration allows users access to over eight million user submitted photos of locations.